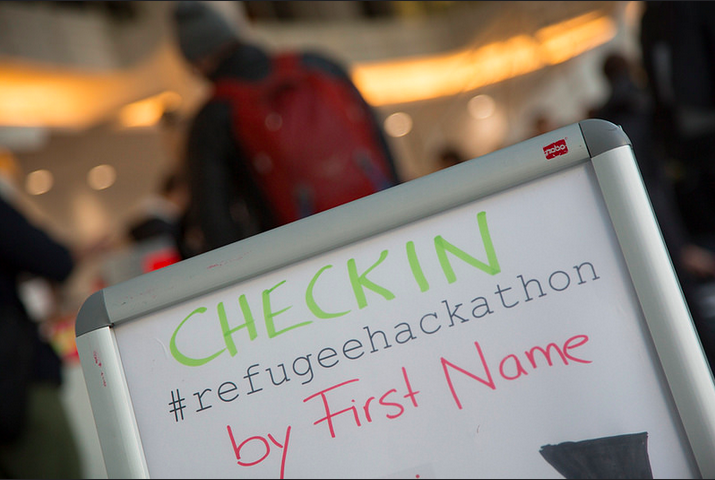 Programmers, designers, volunteers, refugees and organisation aides met at the 24th and 25th October 2015 in Berlin at two locations, Immoscout24 and Rosa-Luxemburg-Stiftung, to work on digital solutions for refugees and voluntary aids during two days and one night (until 3 o’clock, it was not possible to stay longer). 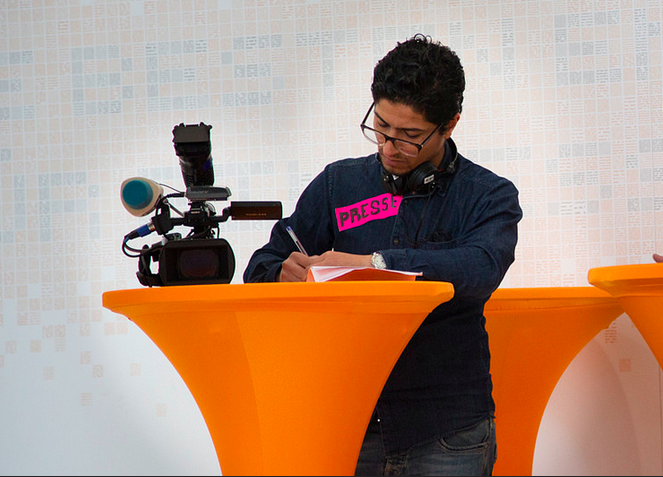 The media were incredibly interested, ZDF, RBB TV and DW TV shot video clips directly on-site, radio stations and a lot of print and online media came to see us. A absolutely incomplete list of media reports can be found at our media info. Thanks to donations, we had plenty of food (including fruit snacks and a warm meal at midnight) and drinks. We drank not only a lot of mate, but even twice as much juice from RatioDrink which we could mix ourselves from tasty organic juice concentrates in a glass conference bottle. Everybody could take their own bottle home and therefore save paper mugs in the future, too. The day started after the reception with a short overview about the requirements workshop of the previous day. 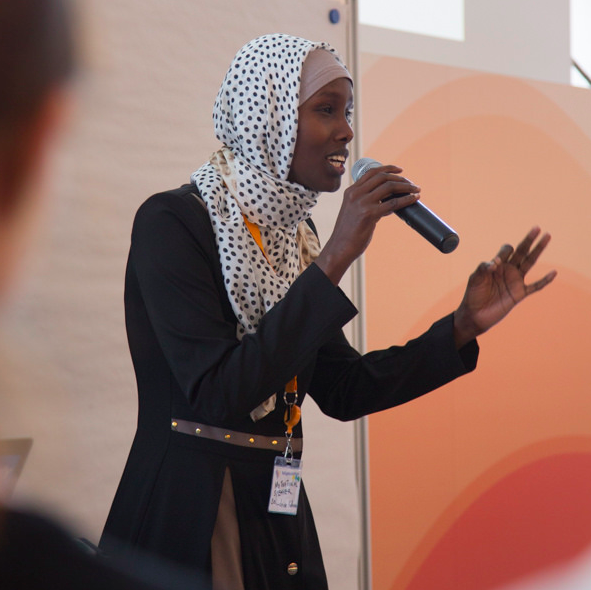 Afterwards Fatuma from Somalia gave a touching speech, in which she, amongst other things, asked to use the word newcomer instead of refugee. In her opinion, refugee sounds weak and needy, whilst the word newcomer does not suggest such a competence slope. “Newcomers are strong, brave and come with a lot of competences”, she called out to us. A lot of activists took her appeal to heart and used the word newcomers – this is sometimes even reflected in the names of the projects, like in newcomerrad.io. After the speech, the participants spread into 18 different projects, settled in a working area and started. 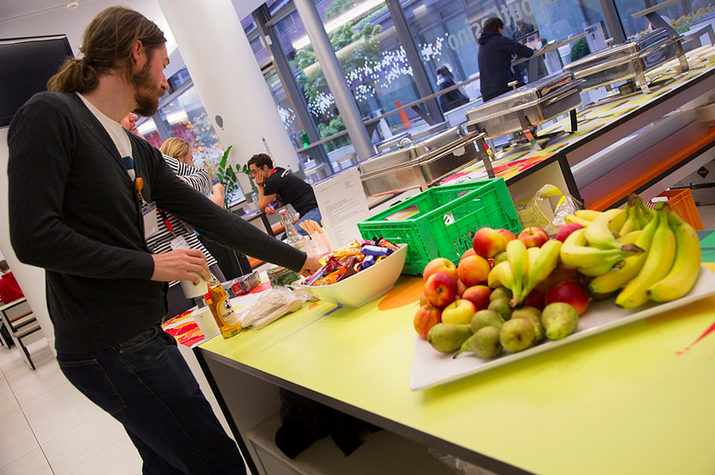 Everywhere you could find teams, at the gallery in different corners with easy chairs, in small corner bars, in the cantine, in classical conference rooms, in the cafeteria, in small and big rooms, at Immoscout24 and at Rosa-Luxemburg-Stifung. A photo documentation, which will be further completed, can be found at FLICKR. How is it going on?